Plan to join your student at their home-away-from-home! Known for its rich history of spice production, the island nation of Grenada is one of the world’s largest exporters of nutmeg and mace—but spice production is only a small part of the history and culture of this amazing country. St. George’s University Family Weekend takes you beyond spice for an insider’s view of the island, its people, and the university. Our beautiful True Blue campus in Grenada, West Indies, will play host to the families of our enrolled students. 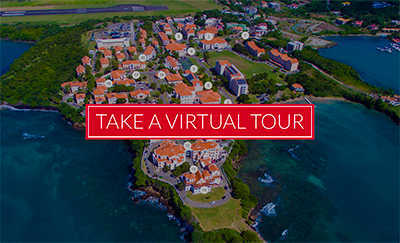 See the campus, meet the administration, and experience all that the beautiful island of Grenada has to offer. We’re looking forward to seeing you at St. George’s University Family Weekend 2019. If you have questions about the program or online registration, please contact familyweekend@sgu.edu. Online registration begins at 10am on May 1, 2019. The schedule below is tentative and may change before registration opens on May 1. Ticketing is managed electronically and online registration is required. White coat ceremony tickets are for visitors only. Incoming students do not require tickets to attend the White Coat Ceremonies, but students do require tickets to all other events. If you are planning a surprise visit, please reserve your tickets ahead of arrival. Space is limited and popular events may sell out in the days leading up to Family Weekend. University bus passes and welcome bags will be available for registered guests at the Information Desk in Caribbean House. Do you have questions? Need assistance? Visit our Family Weekend Information Desk and our volunteers will point you in the right direction. Have questions? Need assistance? Visit the Family Weekend Information Desk and our volunteers will point you in the right direction. Meet at the Caribbean House Courtyard on the upper True Blue Campus. Visit Grenada’s historical sites and natural beauty! Our tour will stop for lunch at the historic Belmont Estate – a major hub for organic cocoa processing in Grenada, and visit the River Antoine Rum Estate. All guests – including students – will require a ticket. The ticket price is inclusive of the catered lunch at Belmont Estate. Buses will begin loading from 9 am at the Caribbean House, and depart SGU at 9:15 am. Have questions? Need assistance? Visit the Family Weekend Information Desk and our volunteers will help point you in the right direction. Looking to explore the Town of St. George? Rather than wander around on your own, spend a few hours on a guided shopping tour followed by a light lunch. You will visit great shopping locations where you can find spices, hand-crafted items, clothing and more! Are you attending a White Coat Ceremony on the same day? We endeavor to keep our tours running on-time, but delays can occur. Make sure you leave enough time in your schedule for ceremony preparations! Buses will load from 9 am at the Caribbean House and depart SGU at 9:30 am. The ceremonies will be held on Friday and Saturday and divided by college to accommodate strong interest from visiting families. Exact times and college assignments will be available on May 1. Venue: Patrick Adams Hall. Doors open at 12pm. Enjoy a sumptuous BBQ amidst dynamic, interactive cultural performances at our seaside event! Ticketing: Online purchase is required. All guests (including students) will require a ticket. Travel aboard Grenada’s famous Rhum Runner! Cruise our beautiful coastline and swim our pristine snorkeling parks. This excursion includes snorkeling, snacks, beer, rum punch, water, juices and a full lunch. Ticketing: Purchase is required. All guests (including students) will require a ticket. Buses depart the True Blue Campus at 10:00am from Caribbean House Courtyard. Schedule subject to change; please keep posted to this website for possible updates. Please note that US laws regarding disability accessibility do not apply to the independent nation of Grenada. The University will make every effort to accommodate accessibility needs on campus. If you have any questions at all, please contact familyweekend@sgu.edu. St. George’s University often makes arrangements with outside vendors for Family Weekend events. Many events require a financial commitment on the part of the University. While we will make every effort to provide refunds whenever possible, 48-hour advance notice is requested to cancel a reservation. Failure to cancel within 48 hours of the event may result in the total booking cost being non-refundable. Each term, a White Coat Ceremony is held for first-term students entering into the four-year Schools of Medicine and Veterinary Medicine. The White Coat Ceremony is an important milestone in the lives of students because it marks their entry into these noble professions. The event includes remarks from the University’s President, an alumnus emcee, recognition by name of each entering student, recitation of the Professional Commitment, and an opportunity to meet the President and Deans at a reception immediately after the ceremony. As it is a special event, students and their guests should dress professionally. We encourage family members and loved ones to share this special day as they support their student in your journey to become a physician or veterinarian. A live broadcast will be available via SGU’s Facebook page for those who are unable to attend their loved one’s White Coat Ceremony. An archived recording will be also be available via YouTube. SGU alumni and qualified physicians/veterinarians who wish to coat their family member at the SOM/SVM White Coat Ceremony should notify familyweekend@sgu.edu, providing your full name and graduation year, as well as your family member’s full name and his/her current academic program. There are many routes into Grenada and you can use any of the internet-based companies or travel agents to help you. The University generally uses a travel agent who is knowledgeable about travel in the Caribbean. We offer his contact details as a convenience. Family Weekend guests have a variety of lodging options to choose from during their visit. Upon booking your reservation at any of the below hotels be sure to mention “Family Weekend” to receive a special discounted rate. As a reminder, a valid passport is required for entry to the island nation of Grenada. 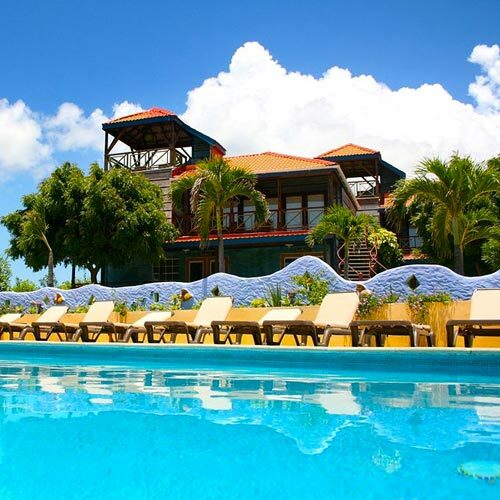 Welcome to True Blue Bay Boutique Resort, a family owned and operated hotel on the Caribbean island of Grenada. Located on the South Coast, this unique and colorful resort is set among tropical gardens and overlooks the spectacular waters of True Blue Bay. A year-round retreat with a AAA Five-Diamond rating, this sprawling eight-acre property is located 10 minutes from the airport on world-famous Grand Anse Beach. With a world-class spa, beachside yoga and two restaurants, every visit to this luxurious, family-owned boutique resort is an experience to be treasured. 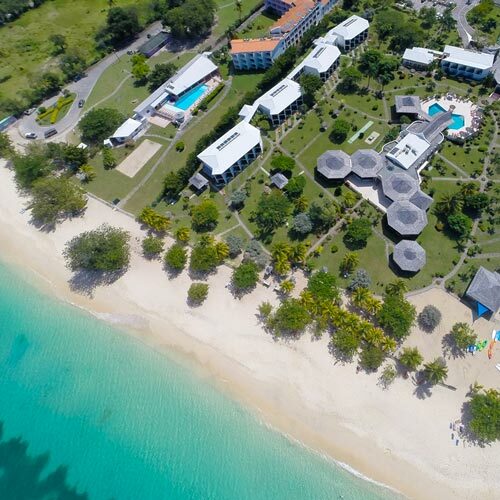 Located on Spice Island, the Radisson Grenada Beach Resort offers the complete Caribbean experience with beachfront rooms, a rejuvenating spa, a dive shop and four island-themed restaurants on site. Calabash Luxury Boutique Hotel & Spa combines five star service and luxury within a relaxed and intimate environment to create the ultimate Caribbean escape. 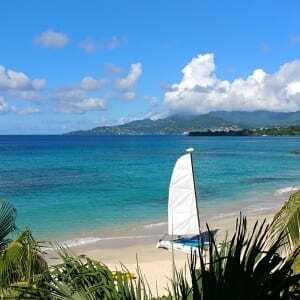 The Grenadian provides an affordable Caribbean resort atmosphere with two distinct sandy beaches just two minutes from the airport. 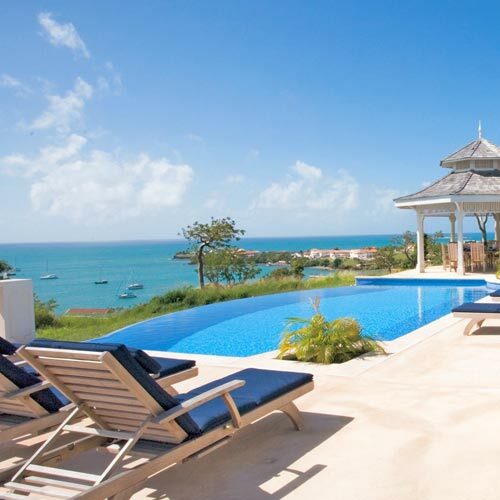 Amazing views, sunsets and room locations, 5 minutes from SGU. Experience true Grenadian culture of warm friendly service with smiles. 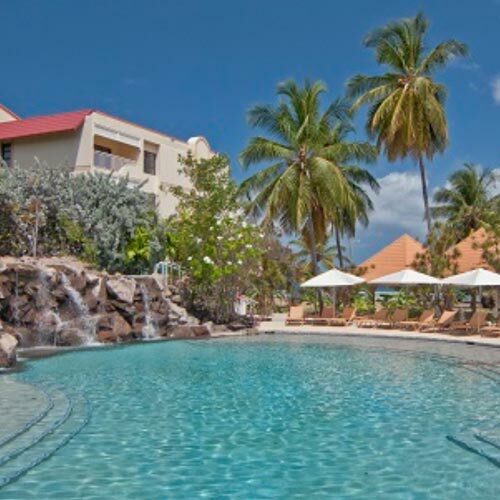 The hotel is located on the world-famous Grand Anse Beach in an enchanted Tropical Garden. Coyaba’s spacious lobby features a gift shop, library and Body Treatment Facilities. Who can attend Family Weekend? St. George’s University invites students, families, and their friends to this event. Immediate family historically make up the bulk of our guests, but extended family and significant others are welcome, too! Yes, a valid passport is required of all visitors when entering the country. When is the best time to arrive for the weekend? Family Weekend activities begin on Thursday, January 31. Some families elect to arrive earlier in the week to enjoy Grenada, while some families arrive the day before a white coat ceremony! With daily flights from New York, Miami, Trinidad, and Barbados you can choose an itinerary that suits your schedule. Yes, click here to view the campus map. Can I coat my loved one at their White Coat Ceremony? St. George’s University School of Medicine and School of Veterinary Medicine reserve coating privileges for SGU alumni and qualified physicians (SOM) and veterinarians (SVM). That coating requests must be pre-approved, and submitted within 72 hours of your ceremony. The School of Medicine limits coating privileges to physicians, and the School of Veterinary Medicine limits coating privileges to veterinarians. What is the dress code for Family Weekend? Professional dress is required for the White Coat Ceremonies and receptions. Casual attire is appropriate for most other events. Sun protection, an umbrella and comfortable walking shoes are always a good idea, too! What is professional dress in the Caribbean? For men, we generally recommend a collared shirt and comfortable slacks as a baseline, but its not uncommon to see parents wear a light sport coat. A casual dress or office wear is appropriate for women. Are Family Weekend guests able to ride SGU buses? Is a special pass required? Is transportation provided for events during the weekend? Yes, a shuttle service is provided from campus to the various off-campus events. Check the event schedule or Information Desk for details. Where can I find answers to my Family Weekend questions during the time of the Family Weekend events? Reach us anytime via familyweekend@sgu.edu. During Family Weekend an in-person Information Desk will be located on campus at the Caribbean House. Check the schedule above for open hours. What is the first thing that I should do before I attend any of the activities? Reserve your tickets! All events will require a ticket. Secure yours via the event links above. A live broadcast each White Coat Ceremony will be available via SGU’s Facebook page. Recordings will be uploaded to YouTube and shared with the incoming Schools of Medicine and Veterinary Medicine classes. What if we are bringing an infant (baby) do we have to register for them too? No, you won’t be required to register a baby. Children under the age of 3 do not need to be registered. Does my student automatically get to attend everything during Family Weekend? Your student is welcome to attend all events and we hope they will attend as many Family Weekend events with you as possible. Paid events will require a ticket for all participants. Students do not require a ticket for the White Coat Ceremony as they are automatically included in our expected headcount. Do students need to purchase tickets for events? Yes, students will need to purchase tickets if they wish to attend any paid event. My student has class or other obligations during Family Weekend. What do I do? Your student may have coursework commitments. Please check with your student before registering them for paid events. When will I get the confirmation of my registration? Your Family Weekend confirmation is immediate, following completion of the online registration form and payment. Bring a printed or electronic copy of your ticket to each event. Have further questions? Send us an email – familyweekend@sgu.edu. St. George’s University often makes arrangements with outside vendors for Family Weekend events. Many events require a financial commitment on the part of the University. While we will make every effort to provide refunds whenever possible, 48 hour advance notice is requested to cancel a reservation. Failure to cancel within 48 hours of the event may result in the total booking cost being non-refundable. St. George’s University makes every effort to accommodate individuals with disabilities. If you require disability accommodations to attend an event at, please contact us in advance of the event. Yes, an ATM can be found in the lower level of Charter Hall, adjacent to the basketball courts. Where can we find SGU merchandise? Head over to the SGU Bookstore (located at Founders Library) for a great selection of SGU items. There will also be a mobile station at the Sunset BBQ. Drop us an email! Our team monitors and responds to the Family Weekend mailbox all year long: FamilyWeekend@sgu.edu.